The house and gardens are perfect for a very special break in the Cotswolds, sleeping up to 24 people, with a live-in cook and housekeeper to ensure a restful stay. 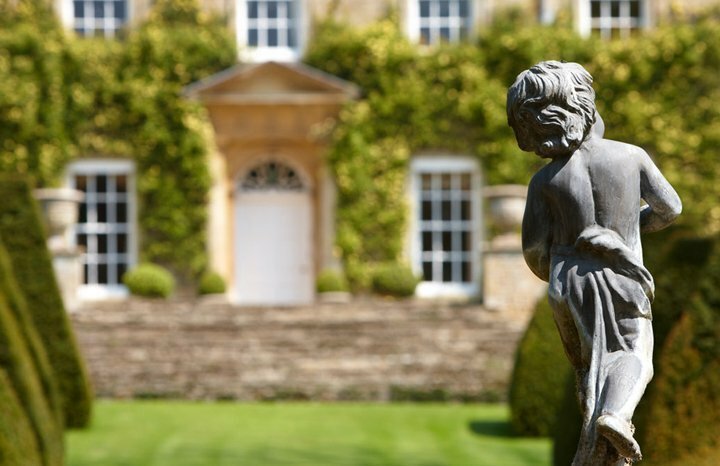 The house and gardens are perfect for a very special break in the Cotswolds. The house sleeps up to 24 people in 12 bedrooms, with a live-in cook and housekeeper to ensure a restful stay. Being situated in a 2,000 acre estate there is plenty to explore. We can even offer in-house beauty treatments via MACH management. Prime first floor bedrooms, (4 ensuite), 3 second floor bedrooms, (1 ensuite), & 3 wing bedrooms, (1 ensuite). All rooms are doubles, bar one twin/zip and link. The house sleeps a maximum of 24. The dining rooms seats 16. The Ballroom is included in the rates and seats up to 72 for a dinner. There is a live-in housekeeper who will provide a daily cleaning service and a live-in cook to cater for any meals required. In-house beauty treatments are available through MACH Management.